Mark your calendars for the 2019 celebration of LaBagh Woods and the Lower North Branch of the Chicago River on Saturday May 18. With live music, silent auctions, raffles, and the camaraderie of bird, nature, and habitat restoration enthusiasts, we are aiming to raise $15,000 to continue the restoration of LaBagh Woods and expand into neighboring preserves along the Lower North Branch. Nearly 350 kinds of birds have visited Chicago's Lincoln Park, one of the region's best places to see birds. 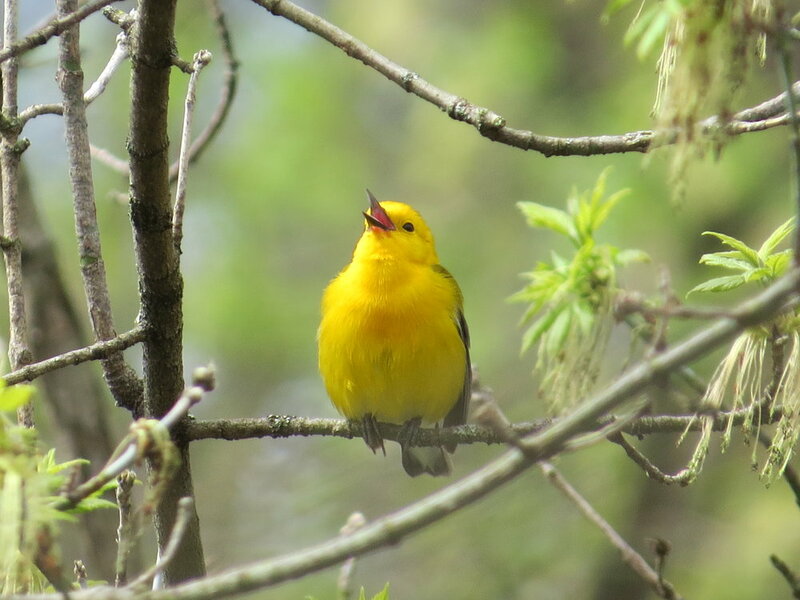 Join experienced bird watchers from the Chicago Ornithological Society on weekly bird walks around North Pond to observe and learn about our feathered neighbors. Each week may bring a different assortment of birds to view. Dress for the weather and bring binoculars. Join us for a presentation on the latest technology being used to study bird movements and what the future holds for the deployment of MOTUS in the Chicago region. Join Jeff Skrentny and take advantage of his detailed knowledge of this premier Chicago birding hotspot. Friday mornings at 7:00am starting April 26 and running through Friday June 7. Join Jeff Skrentny and take advantage of his detailed knowledge of this premier Chicago birding hotspot. Meet at Humboldt Park field house, south of North Ave on Sacramento. Get to know Humboldt Park, which serves as an oasis for migrating birds making their way through the city of Chicago. Read the latest installment of Dan Lory’s Thursday thoughts on birds of the Chicago region. With the growing interest in the success of the federally endangered Great Lakes population of Piping Plover, we thought it’d be good to get a quick refresher on where they’re at going into 2019. Birders are nothing if not committed to our hobby and contributing to science. However, there are those days that test even the most patient of us. We warmly appreciate any contributions to support our conservation and education efforts. Read about reasons to support our organization in the Membership tab. Bird Friendly Chicago is an alliance to promote a safer urban environment for birds through improved lighting, landscaping and glass features of buildings. COS encourages you to declare your support for a new building ordinance to protect migratory birds from the tragedy of glass collisions in our city. COS maintains an eBird account with the Cornell Lab of Ornithology. Our presence on eBird is primarily for sharing field trip checklists, keeping track of bird monitoring for conservation projects, and transcribing historical observations from paper checklists from some of our legendary Chicago area birders. Chicago Ornithological Society is a registered 501(3)(c) non-profit organization engaged in promoting the appreciation of birds. We offer education programs, recreational bird watching opportunities, and habitat restoration projects in the Chicago region.